Kick off the festival with the selection of award-winning films in HOMETOWN FAVOURITES. These enchanting films will take you to places you have never been! They have some amazing local competition screenings: THE CHILD IN EACH OF US and RESISTING THE INEVITABLE. THE CHILD IN EACH OF US shows us that the older we get, the more we need to hang onto our youth. RESISTING THE INEVITABLE takes us on the emotional roller coaster ride of resisting and accepting what is unavoidable. 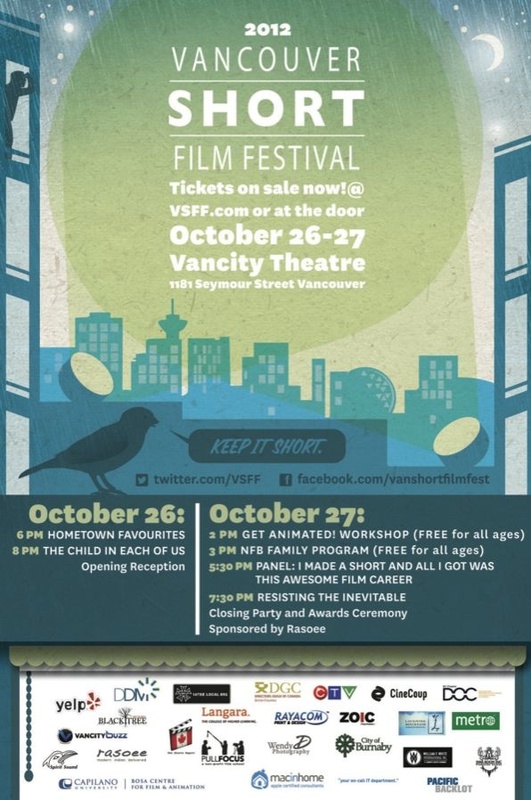 Their brilliant panel lineup consists of moderator Javier Badillo, film director, writer, producer and musician, independent writer/director Mina Shum, ex-actress and producer Kaleena Kiff and Vancouver-based filmmaker and artist Brian Lye.